September 27 is Korea’s Chuseok holiday. 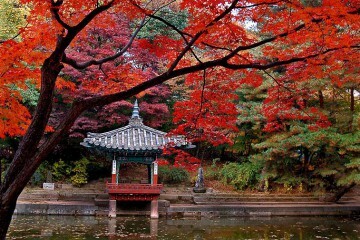 ‘Chuseok’, which was originally known as ‘hangawi’, is a harvest festival and a three-day holiday in Korea. It is usually celebrated around the autumn equinox, similar to other harvest festivals around the world. As a celebration for the good harvest, Koreans would usually visit their ancestral hometowns as well as have a feast of Korean traditional cuisine. In addition, they would also wear their traditional dress known as ‘hanbok’ which literally means ‘Korean Clothing.’ It is a Korean traditional dress which has vibrant colors and is usually worn on special occasions, such as the Chuseok holiday. Ever wondered how your favorite female KPOP idols and groups look while wearing hanbok? Check below for our list of female KPOP idols and groups who look great in hanbok! The KARA members pulled off their metallic hanbok with intricate prints. The girls of T-ARA wear hanbok with colorful sleeves. The Girl’s Day members show off different colors of hanbok with intricate designs. The girls of A-Pink don their pastel hanbok. Nation’s little sister IU shows of her charms as she wears her hanbok with vibrant colors. 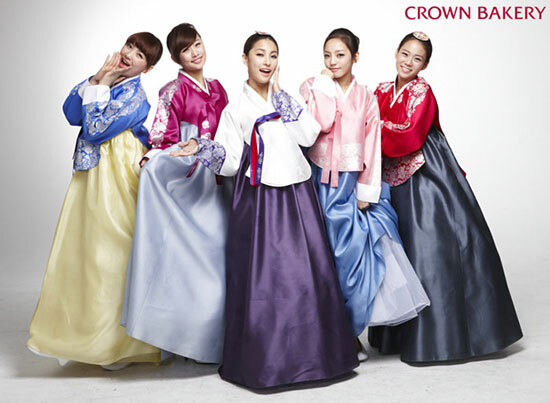 The nation’s girl group poses with their colorful hanbok. Her youthful beauty glows as she wears her green and pink hanbok with floral prints. Which female idol or group in hanbok was your favorite from this list? Do we have other idols or groups that we have missed?